1. 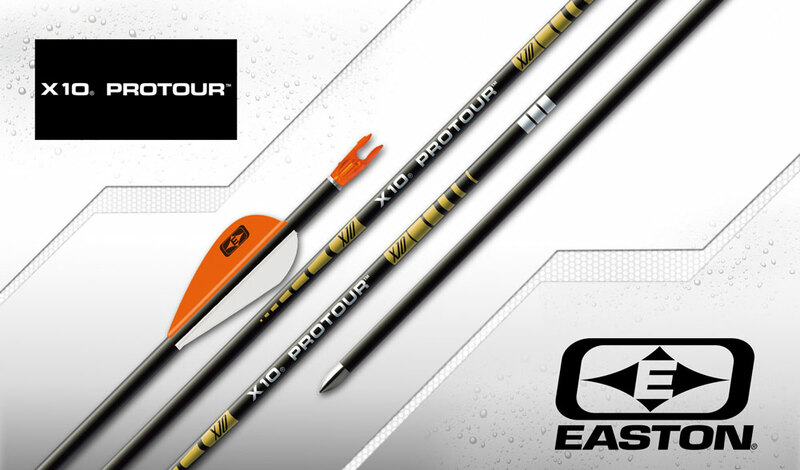 Due to the taper design of the X10 Pro Tour, the grain weight-per-inch shown is an average weight-per-inch of a 29″ shaft. Shaft weight is slightly heavier toward the larger-diameter nock end and lighter toward the tapered front end. One inch of shaft cut from the point end typically weighs 6-7 grains. 2. Nominal O.D. at mid-point of shaft. Front end is smaller. 3. Recommended that no more than these lengths be cut from the front of the shaft.